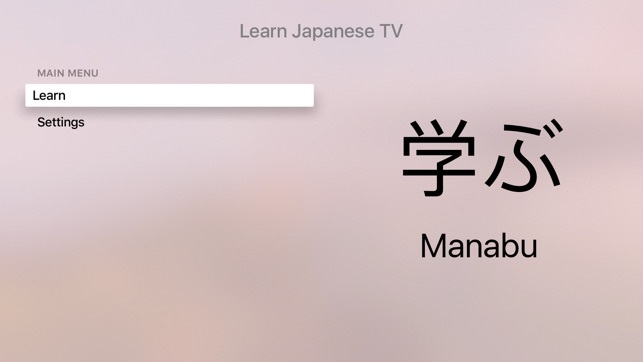 Would you like Japanese on your TV? You now can! 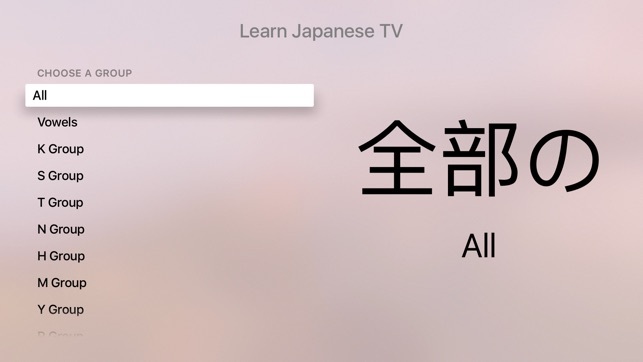 Thanks to the new Apple TV with Learn Japanese TV. 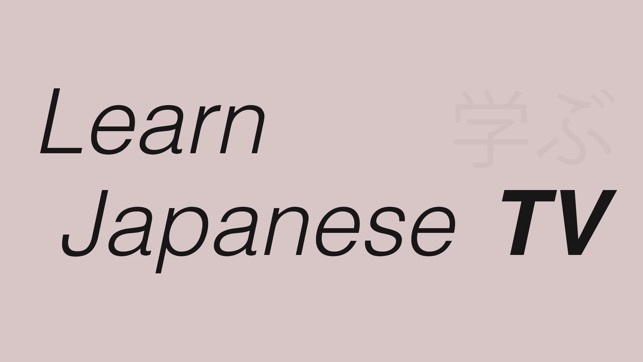 With our easy to use language cards you can master the hiragana alphabet. The gateway into understanding most Japanese words. 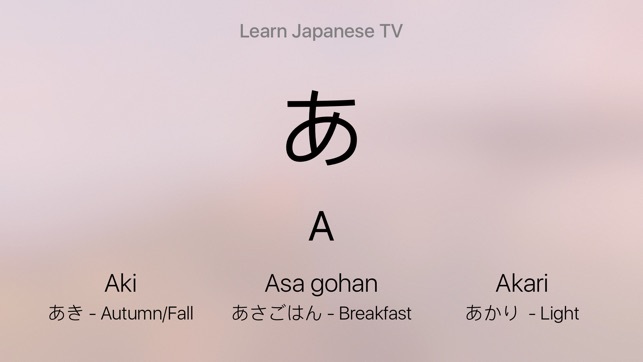 - Enjoy a screensaver of beautiful alphabet cards which are exclusively designed for the apple tv. - Pause and enter presentation mode for manual control for reference or teaching. - Rest assured this app has an fully updatable dictionary that will be moderated and added to. All characters and the words associated with them are approved by our native Japanese speaking team.